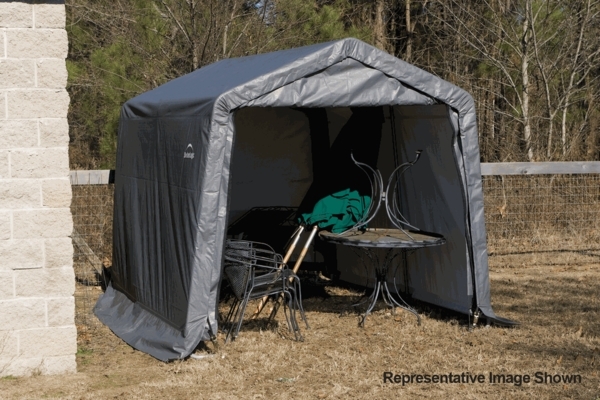 This peak style portable Shelter and Garage comes with a grey cover. You can store and protect your autos, ATVs, trucks and outdoor supplies. The durable steel frame has a diameter of 1 5/8 inches. 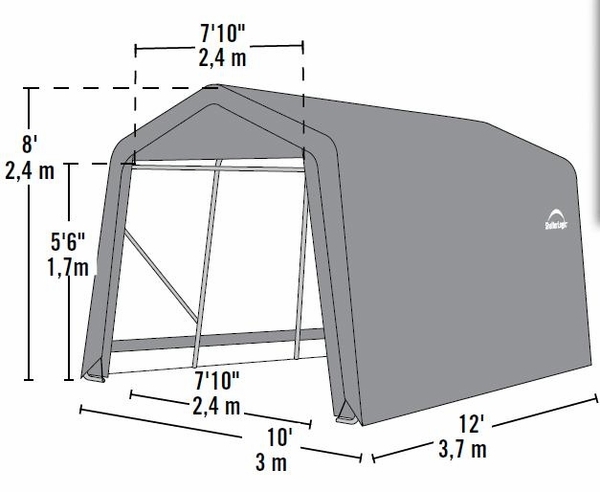 The 10 Foot W x 12 Foot L x 8 Foot H frame features five ribs for extreme resistance to wind and weather. The cover is triple layered, rip proof polyethylene fabric. The fabric is waterproof and UV treated. The front of the shelter features a double zippered door panels.